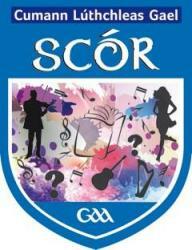 No joy for Cork in the Munster Scór Sinsir Finals hosted in Cappamore, Co. Limerick. The standard of competition bore testimony to the many months of practice, clubs and teams promoting the cultural aspects of CLG. Tipperary dominated the proceedings with six outright wins, Newport recorded a triple, J K Brackens collected a double with Borrisoeigh also earning silverware to secure a place in the All Ireland Finals in Belfast on Saturday, May 6. Well done to the Cork representation from Carbery Rangers, Iveleary, Youghal and Meelin on enjoying a fantastic campaign. Rince Seit: J K Brackens (Tipperary).